We are one of the countries leading Renewable Energy Technology specialists. 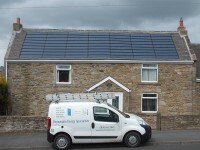 We are specialists in Solar PV serving domestic, commercial and public sector clients nationally. 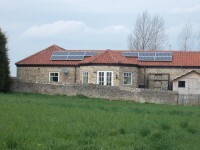 with over 500Kwp of systems installed on a wide range of properties. We can provide you with Testimonials so you can gauge for yourself - why our customers choose Cleaner Air Solutions for their installations - please ask for details. 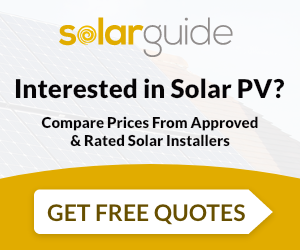 We were one of the very first 3 companies to become MCS accredited, membership No 1033, specialist in Solar PV systems, installer training, supply of equipment to the trade and commercial outlets. We have our showroom on-site - open 6 days a week showcasing the range of technologies - allowing our customers to come and see the technologies - before they buy - we also facilitate visits from schools, colleges and businesses - and provide advice and guidance on systems and installations. 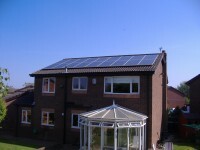 Example of a domestic solar pv array the picture is from one of our recent domestic installations, the customer is now registered for the feed in tariff and enjoying the benefits of carbon free electricity being generated on their own home. 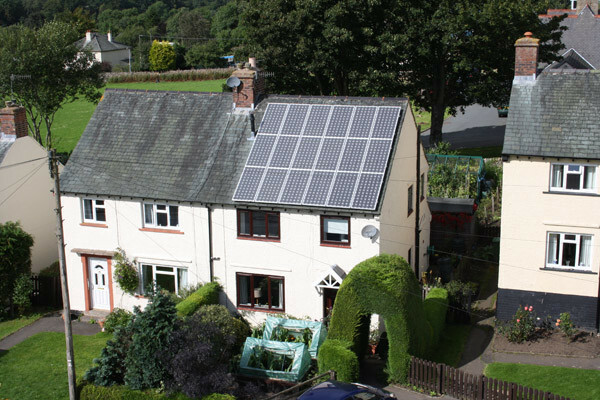 no fuss - no moving parts, using world leading products and the benefit of the government guarantee of being paid for generating their own electricity, representing a better return on their investment than any of the banks can currently offer!! 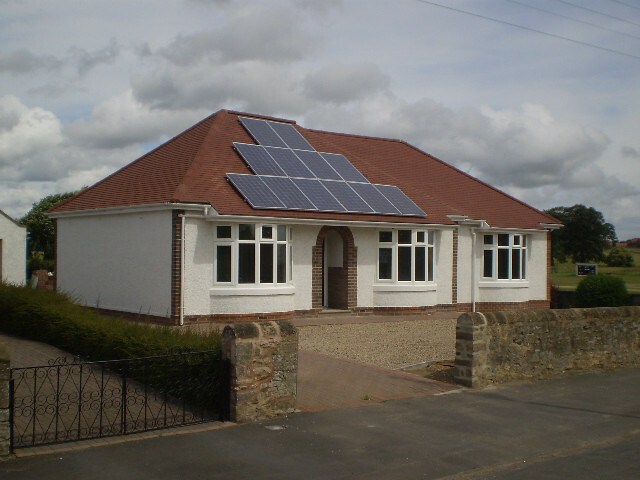 Mitsubishi 3.85kwp - an excellent example of a domestic solar pv installation this photograph shows to excellent effect, how a well designed installed solar pv array looks - the customer was delighted with the outcome and is now benefitting from carbon free electricity - so could you. 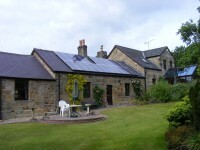 Sharp 2.10kwp installation client quotation: â€œwhen we decided to investigate the installation of pv cells we contacted three suppliers and found that cleaner air solutions was by far and away the most professional. from the initial telephone enquiry everything was seamless. 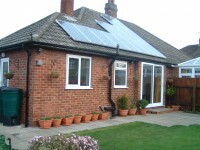 they surveyed the house to ensure the most suitable configuration of cells to suit our needs, advised us on their output, feed in tariffs and likely pay back time. in short we were able to make our decision knowing all the facts and figures. 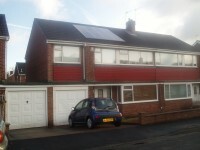 prior to the installation we had a problem with planners and cleaner air solutions bent over backwards to help. the actual installation proved to be everything we had come to expect from them - they delivered everything they promised and more. 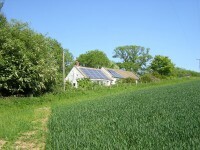 we are delighted with our pv cells and are happy that we chose cleaner air solutions to supply and install themâ€. 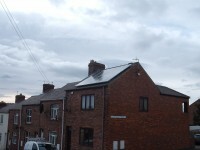 Sharp 1.4kwp installation this installation was mounted on the west facing roof of mr matthewâ€™s home in the chester-le street, county durham. 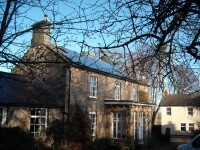 even though the roof orientation is not ideal for mr matthews pv system, the introduction of the feed-in tariff was the deciding factor in his decision to install this type of renewable energy system. 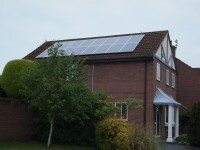 even in the month of march, mr matthews solar array is still making a significant contribution to his annual electricity bill as he has been able to run electrical appliances such as his fridge freezer, dish washer and washing machine in the afternoons without drawing any energy from the national grid. 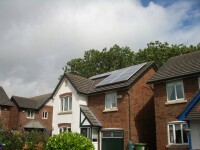 Cleaner Air Solutions UK Limited are MCS accredited engineers who supply and install Solar PV. 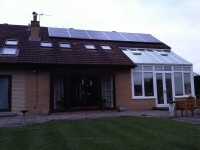 For similar installers in this area please visit the Durham solar page.